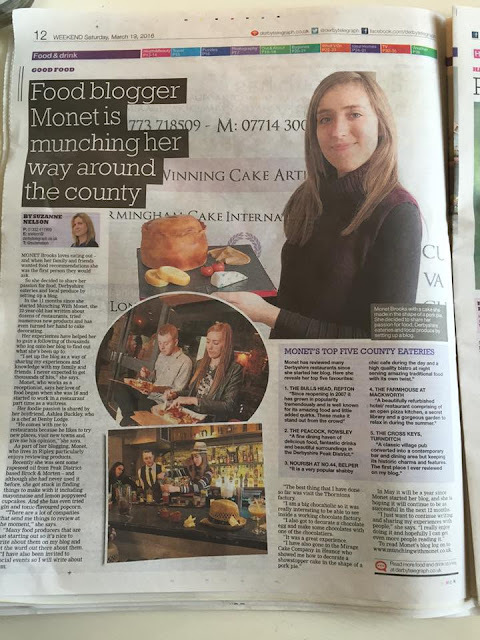 Munching With Monet hits the Derby Telegraph! This weekend has been pretty exciting for me. I've spent the past couple of days by the Yorkshire coast but came home to see myself featured in the Derby Telegraph newspaper! If you're heading to a newsagents or shop over the next few days then make sure you pick up a copy, they are only 60p after all. If not, then head over to the website to read their full article online - click here. I'm so, so grateful to everyone who has ever read my blog. 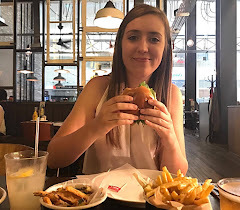 I love to write about my experiences and hope you all enjoy reading them. Huge thanks to the Derby Telegraph for featuring my blog in your newspaper! This is a huge achievement for me and the blog. This paper was always 'the big one' to me when I was growing up.